Yann Tiersen - Good Bye Lenin! | Free eBooks Download - EBOOKEE! Yann Tiersen - Good Bye Lenin! Posted on 2013-05-17, by tactools. Good Bye Lenin! is the original soundtrack album of the film of the same title starring Daniel Br?hl and Katrin Sa?. The music is composed by Yann Tiersen, This album has been released with the Copy Control protection system in some regions. A small portion of the soundtrack share the similar style Yann Tiersen used for Am?lie, which is influenced by the pattern of a French music. In fact, "Comptine d'un autre ?t? : L'apr?s-midi" is used in both films, and accompanied the scene of the family's 'First East-West Berlin outing' in Good bye, Lenin!. 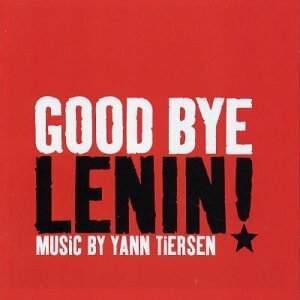 No comments for "Yann Tiersen - Good Bye Lenin! ".